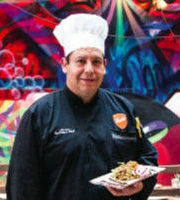 CHEFS - ¡Latin Food Fest! Each ¡Latin Food Fest! showcases talented culinarians — from local executive chefs to star personalities who conduct cooking demonstrations, offer tastings, prepare chef’s dinners, and sign cookbooks. The following chefs have participated in our previous festivals, so check out our galleries to see them in action. 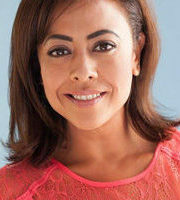 Sindy Lazo is an LA based Venezuelan actress, author, comedian and TV host. 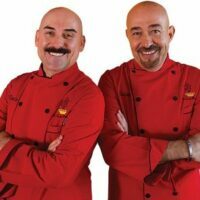 Curently one of the contestants of the successful first edition of Master Chef Latino for the Hispanic audiences in the US. Known for her charismatic and funny characters in many Latin “Telenovelas”, Sindy also hosted her own talk-show “La Cocinita de Sindy” (Sindy’s Little Kitchen) for several seasons in Venezuela. 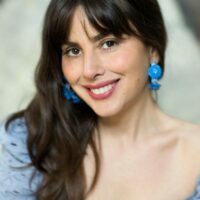 Author of two best-selling books, “No vengas tú” (Don’t give me that…) and “La Cocinita de Sindy”, in which she compiles funny, dark and poignant essays about being a single girl who likes to cook but has no one to try her food. 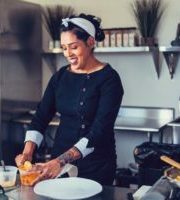 Tamales” and “Tamales World Tour” series, along with the Los Angeles’ popular food-centric radio show, KCRW’s “Good Food.” In 2011, Milliken competed on season three of Bravo’s “Top Chef Masters” and won $40,000 for her chosen charity, Share Our Strength. She has also co-authored five cookbooks. Milliken uses her platform to enact societal change, serving on the boards of both Share Our Strength and the James Beard Foundation. 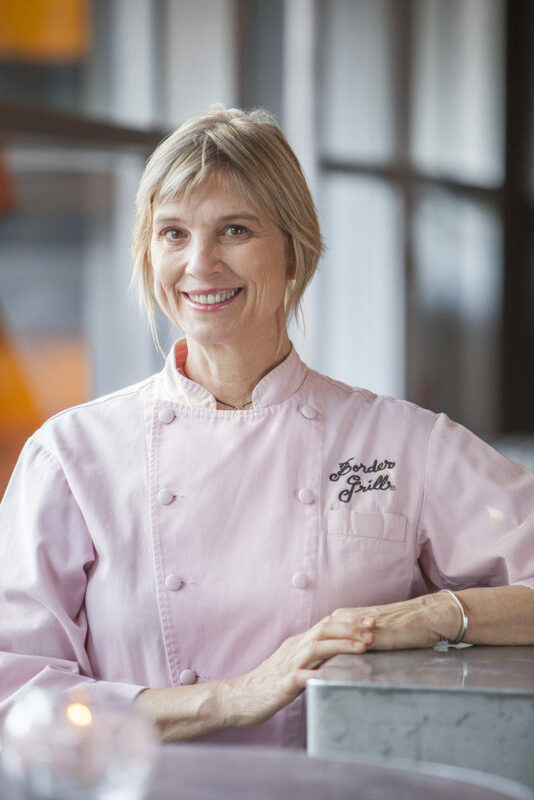 In 1993, she joined other progressives to found Women Chefs & Restaurateu rs and Chefs Collaborative, and she was later selected to join the U.S. State Department on the American Chef Corps to promote diplomacy through food in Pakistan, Malta, and Italy. Her passion for sustainability led her to work with L.A. Food Policy Council, Pew Charitable Trusts, Oxfam, Monterey Bay Aquarium, and others. In In 2018, Feniger and Milliken were named the recipients of the fourth annual Julia Child Award from The Julia Child Foundation for Gastronomy and the Culinary Arts , marking the first women to be honored. 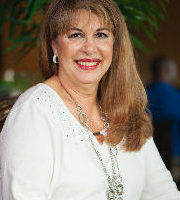 The distinction complements additional accolades, including the Elizabeth Burns Lifetime Achievement Award from the California Restaurant Association in 2013; earned induction into Menu Masters Hall of Fame in 2014 ; and the 2018 Gold Award from the Los Angeles Times for culinary excellence and innovation in Southern California. 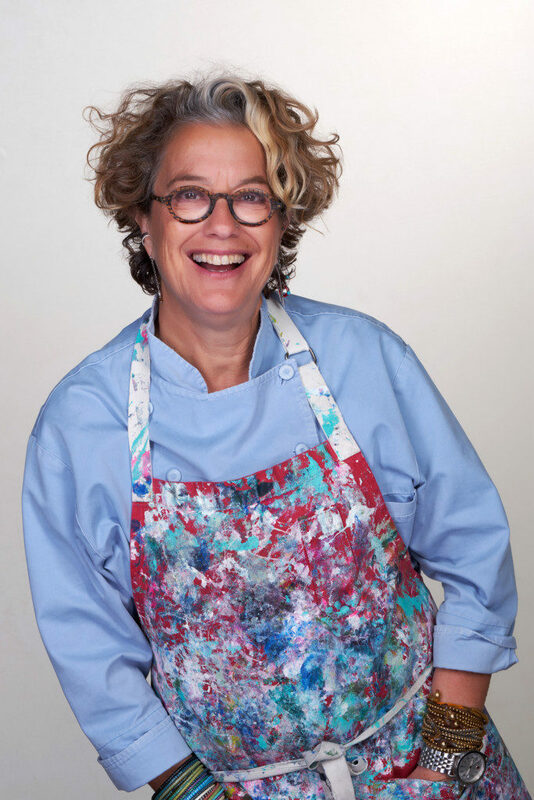 Iconic culinarian, author, and entrepreneur Susan Feniger may be best known for her Modern Mexican concept, Border Grill restaurants, trucks, and catering, which she runs with her business partner of more than 35 years, Mary Sue Milliken. Now with locations in Downtown Los Angeles, LAX, The Huntington Library, and Las Vegas’s Mandalay Bay Resort and Casino, Border Grill continues to serve street food-inspired regional Mexican cuisine with a commitment to sustainability and the best quality ingredients. In June 2018, Feniger and Milliken debuted a fast casual eatery, BBQ Mexicana, at Las Vegas’s Mandalay Bay Resort and Casino, and later this year, they will return to Santa Monica with a new all-day Mexican restaurant. 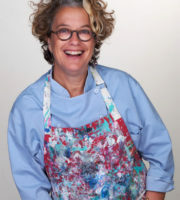 Feniger also launched her own solo ventures—Blue Window with Kajsa Alger at The Huntington Library in 2016 and to-go concept Grab & Global by Susan Feniger at both LAX and San Jose International Airports in 2018.
she made a groundbreaking move in joining the nearly all-male kitchen at Chicago’s Le Perroquet, serendipitously meeting the only other woman in the kitchen—Mary Sue Milliken. After working for Wolfgang Puck at Ma Maison in L.A., Feniger went to the French Riviera to further hone her skills, and returned to open City Café with Milliken in 1981, forever changing L.A.’s culinary landscape by introducing eclectic dishes from around the world. That evolved into the larger CITY Restaurant in 1985—and the introduction of Border Grill as a simple spot for authentic home cooking and street foods of Mexico informed by the duo’s treks through the country. A James Beard Award that same year confirmed their impact on the nation’s cuisine. Feniger and Milliken brought their innovative approaches to The Food Network with nearly 400 episodes of the “Too Hot Tamales” and “Tamales World Tour” series. They also were the original co-hosts of the popular food-centric radio show, KCRW’s “Good Food,” in L.A. Susan has co-authored six cookbooks, including Susan Feniger’s Street Food and competed on Bravo’s “Top Chef Masters” in 2010. In 2018, Feniger and Milliken were named the recipients of the fourth annual Julia Child Award from The Julia Child Foundation for Gastronomy and the Culinary Arts , marking the first women to be honored. 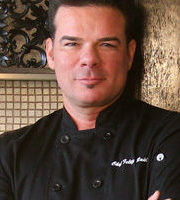 The distinction complements additional accolades, including the Elizabeth Burns Lifetime Achievement Award from the California Restaurant Association in 2013; earned induction into Menu Masters Hall of Fame in 2014; and the 2018 Gold Award from the Los Angeles Times for culinary excellence and innovation in Southern California. 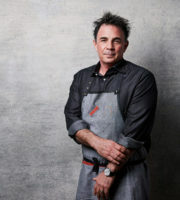 Feniger is an active member of the community, and currently sits on the boards of the Scleroderma Research Foundation, L.A. LGBT Center, and L.A. Tourism & Convention Board; works closely with Women Chefs and Restaurateurs, Share Our Strength, and Human Rights Campaign; and co-founded Chefs Collaborative. 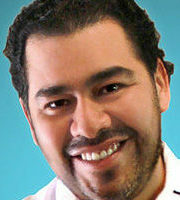 There’s little doubt that Enrique Olvera is the world’s best-known chef from Mexico. 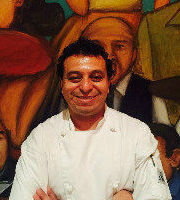 His restaurant PUJOL is widely considered the best restaurant in all of Mexico. 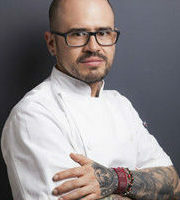 And his New York eatery, Cosme, sets the standard for modern Mexican cuisine. A pioneer in contemporary Mexican gastronomy, Olvera is both an inspiration and leader in the culinary world. 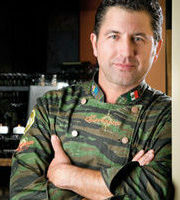 His restaurant has received tons of international accolades. In September, he was inducted into the international advisory board of Spain’s Basque Culinary Center alongside Joan Roca, where they join the ranks of world-renowned chefs. 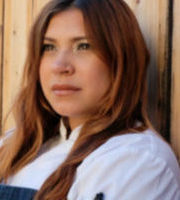 Growing up around expert and traditional cooks in Tijuana, Mexico, Marcela was raised to be passionate about food, and she jumped straight into a culinary life with her first job working at her aunt’s cooking school in Baja, Mexico. 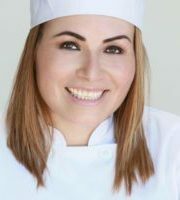 Marcela realized she, too, wanted to pursue this growing love for food full time and enrolled in the Los Angeles Culinary Institute. 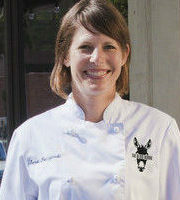 She then went to the Ritz Escoffier Cooking School in Paris to become trained as a classical French pastry chef. 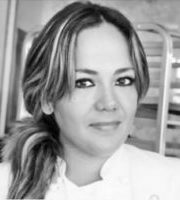 Marcela later returned home to run a catering company and teach children about the culinary arts in Tijuana, all while collecting recipes and applying her knowledge and skills of her family’s cooking traditions to map out her dreams. 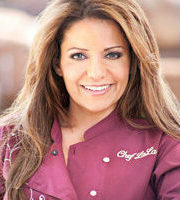 She successfully translated her culinary knowledge and passion to the small screen as the host of her own Food Network series, Mexican Made Easy, which premiered in 2010. Wanting to share her expertise on great Mexican food that combines freshness and flavor with kitchen ease, Marcela published Fresh Mexico: 100 Simple Recipes for True Mexican Flavor” (Clarkson Potter) in 2009, Mexican Made Easy (Clarkson Potter) in 2011 and Casa Marcela: Recipes and Food Stories of My Life in the Californias (Houghton Mifflin Harcourt) in 2017. 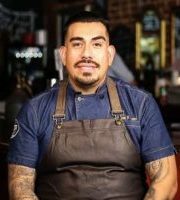 Zarate’s latest project, Rosaliné, will open in spring of 2017 with classic Peruvian dishes alongside ‘street-food’ fare updated with a California sensibility; Zarate will include small bites, placing an emphasis on grilled vegetables and dishes highlighting both land and sea. The streamlined menu will use a traditional Josper oven with open charcoal grill; infusing ingredients with smoky, rich, earthy flavors and spices, prominent in South American cuisine. 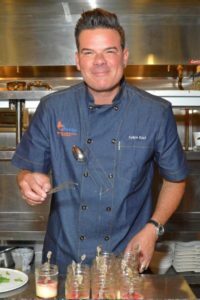 Josiah Citrin is a culinary expert and veteran of Los Angeles’s gourmet dining scene, with more than 25 years of experience. 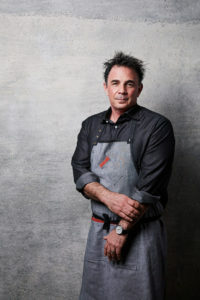 He is a two-star Michelin chef and owner of Santa Monica, California’s highly-acclaimed Mélisse, Charcoal Venice, and Dave’s Doghouse at the Staples Center in Downtown Los Angeles and Indian Wells Tennis Garden. His culinary philosophy, “In Pursuit of Excellence” sets the standard for all of his concepts, whether fine-dining or casual. Growing up in Mexico City, Richard Sandoval would join his grandmother in the kitchen and gather around her large table with family to enjoy lively Mexican feasts prepared from scratch. From his grandmother, he learned to respect fresh, authentic, ingredients and to create the vibrant flavors that turned family dinners into celebrated events. Meanwhile, his restaurateur father – owner of Madeiras in Acapulco and Villa Fiore in Mexico City – imparted lessons in service and restaurant management. These early influences inspired Sandoval to enroll at the Culinary Institute of America. 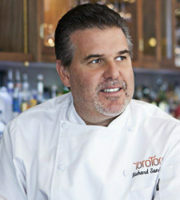 Upon graduation, he gained the attention of New Yorkers with his contemporary French restaurants, Savann and Savann Est. Soon, though, he returned to his first love – the food of his childhood and in 1997 opened Maya, his flagship modern Mexican restaurant in New York. 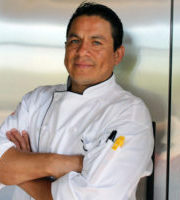 During the past 15 years Sandoval’s career as a chef and restaurateur has evolved to include serving as a culinary consultant, television personality and chef/owner of Richard Sandoval Restaurants (RSR), a leading international restaurant group with more than 40 concepts around the world. 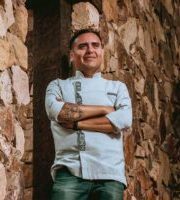 He has been awarded Mexico’s National Toque d’Oro 2003, Bon Appétit Restaurateur of the Year 2006 and Cordon d’Or Restaurateur of the Year 2012. Most recently, Market Watch named him On Premise Player of the Year 2013. Passionate about food and entertaining, Ingrid Hoffmann spends each day sharing her enthusiasm and talent with an international audience. 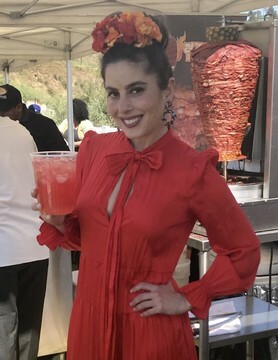 Ingrid launched Simply Delicioso on Food Network last July and also hosts her own Spanish-language cooking and lifestyle show, Delicioso, on Galavision/Univision. Aside from the two shows, Ingrid pulled together a compilation of her recipes and entertaining ideas, which are showcased in her first cookbook, SIMPLY DELICIOSO: A Collection of Everyday Recipes with a Latin Twist (February 2008, Clarkson Potter/Random House). Raised in Colombia, Ingrid moved to Miami where she opened La Capricieuse, a high fashion luxury boutique in Miami’s Coconut Grove. Soon after, the store grew into a chain of four boutiques with a flagship on the island of Aruba, as well as a men’s shop in Miami. 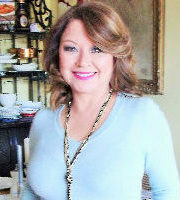 Ingrid launched her own show, Delicioso with Ingrid Hoffmann, on Latin America’s Cosmopolitan Network in 2004 and soon premiered on DirecTV in September 2005, which propelled her popularity to new heights. In November 2006, the show premiered in its second season on a new network – Galavision, the highest rated among the Hispanic stations. 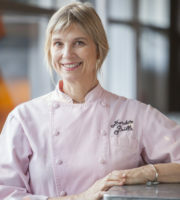 Each episode centers around a theme that Ingrid uses to connect segments on menu planning, shopping, cooking and decorating. The show’s light-hearted, interactive style draws in viewers for both Ingrid’s talents as well as her vibrant personality. 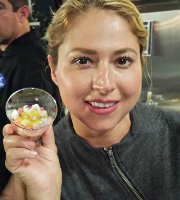 Chef Tati Polo is a graduate of Le Cordon Bleu at the California School of Culinary Arts. 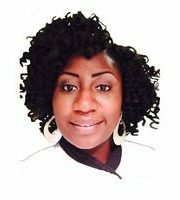 As an executive chef she has been hired for many events including twice for a private Kenny Chesney concert where she served 2000 people in Miami each time. 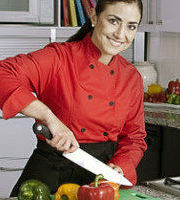 She was also the executive chef of the Latin Billboard After Party for Universal Music Latin Entertainment. 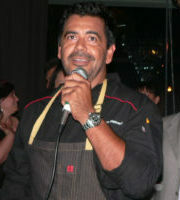 Chef Tati has also been a guest celebrity chef for the past two years at the Latin Food Fest in Los Angeles. 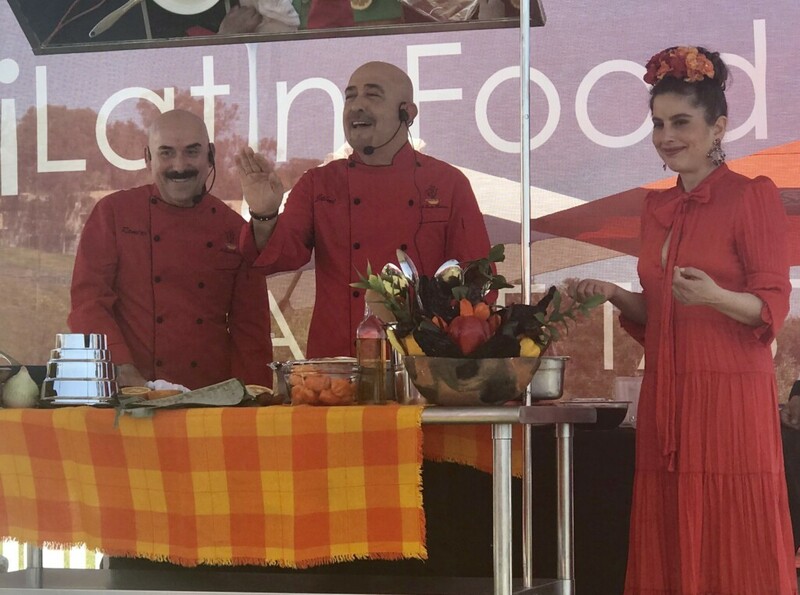 She also made an appearance as a guest celebrity chef for “Familia y Hogar” where she created healthy dishes and shared a cooking demo on stage with the guests. 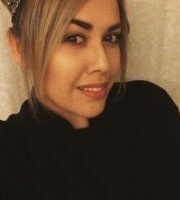 Beginning 2013, Tati became a part of Grupo Radio Centro’s Exitos 93.9FM LA with a radio segment called “El Dish del Dia con un Tip Picoso” in “Raq-C & Nachin” weekday afternoon show.Currently, Chef Tati is part of K-LOVE 107.5 FM, a Spanish radio station where she joins the morning show with Donaji Radio on Monday mornings. Hersegment is called “Vive Mejor con Tati Polo” (“Live Better with Tati Polo”) where she helps listeners with healthy tips and recipes for a better life. 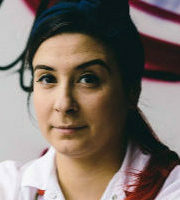 Chef Tati recently partnered with COLLIDE, a streaming platform that connects fans to creators to build a better content experience and community together. Through Collide, Tati shares healthy recipes and wellness with her fans on a weekly basis. She loves to connect with and engage her fans and is constantly inter-phasing with them on all her social media platforms. 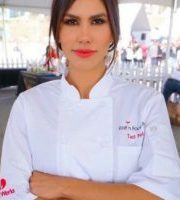 Aside from her work with Collide, Tati has also done modeling, cooking and food-related social media campaigns. 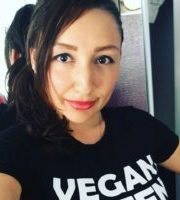 She did a DOLE healthy eating social media campaign; as well as one for Nestle Coffee-Mate, El Super Markets, Daily Fresh Produce, Mahatma, Farmer John, Super King Markets, Ashleys Furniture, Crocs, Curacao, Carnival Aventura Dance Cruise, Costa Baja Resort, CBX (Cross Border Xpress) and Volaris Airline. 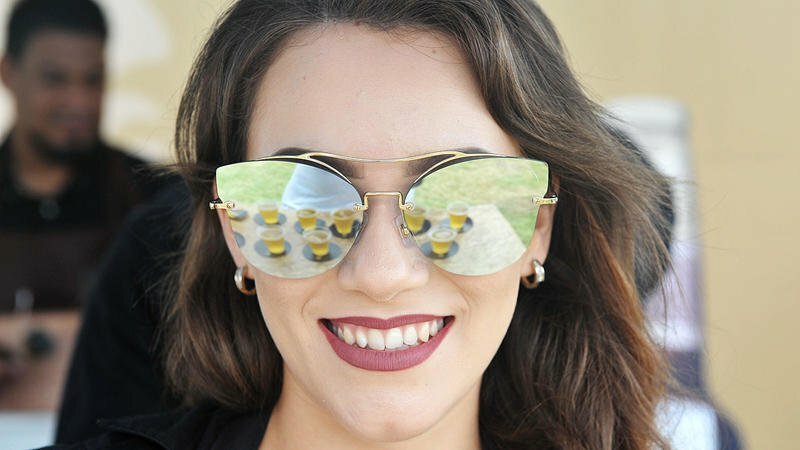 “Self-evaluation and constant adjustments have become a way of life for me.” Before heading to the kitchen, Chef Tati was a model and was able to become a part of Miss Tachira,a Venezuelan beauty pageant and Miss Universe qualifier. She has been featured in several magazines, and has been a model for runway shows, swimwear, catalogues and calendars, working with high-caliber photographers in the entertainment industry. Some of her modelingexperience includes commercial jobs for Trim Spa, BMW, Head and Shoulders, as well as being the face of Glaudi. 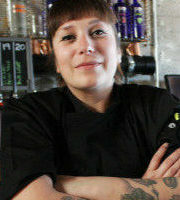 Chef Tati wears many business hats, including a chef’s hat. 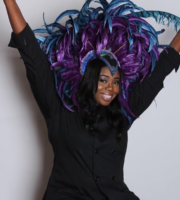 Along with her culinary background she is the CEO of her own catering company called Forkplate Productions. 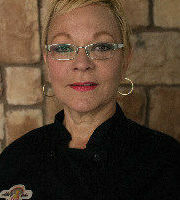 Her tasty company also offers cooking classes for those wanting to expand their knowledge in the kitchen. 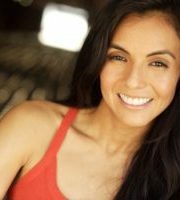 Chef Tati is also the former owner of Flirt Culture, a boutique that sold women’s apparel in the heart of LA. Today, Tati is very excited to announce the launch of her new clothing line + women’s movement: ViTALLA by Tati Polo. Martín Omar González Mayí was born in San Francisco de Macorís and moved to Madrid at an early age. 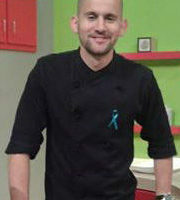 He soon began working in a kitchen to pay for his studies in tourism and fine arts. As he got more involved in the kitchen, he switched gears to focus his studies on cooking. 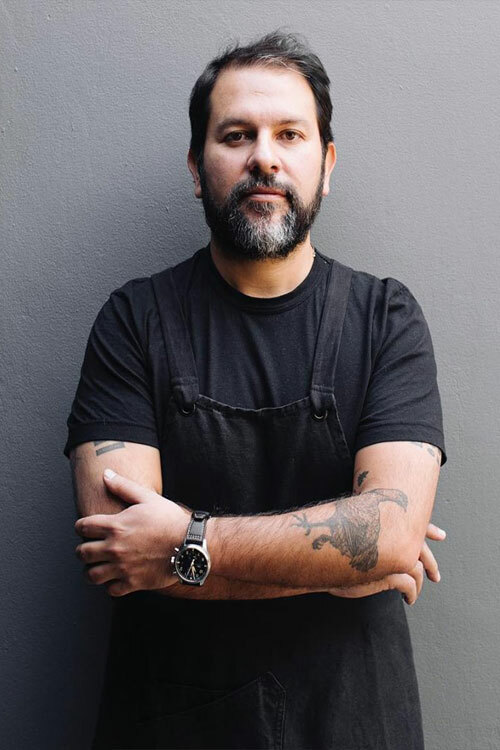 After stints working at trendy restaurants in the early ‘90s, in 1996 he started working in the kitchen of the emblematic Madrid chef Abraham García, honing a fusion style of cuisine that was both cosmopolitan and modern. In 1999, driven by a desire to get back to his roots, he moved to Santo Domingo. 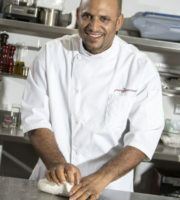 Until 2002, he traveled between Santo Domingo and New York, working in various restaurants. He then returned to Madrid, this time as director of Viridiana restaurant, which to this day is one of the most influential restaurants in Spain. 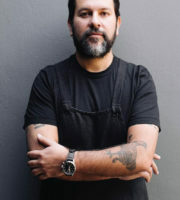 Martín belongs to a breed of prodigious cooks in both the Spanish and international gastronomic scenes, along with his contemporaries Dabiz Muñoz, Sergio Sierra and César Rodriguez. In 2009, swept away by the rising tide of Latin American cuisine in Spain, he founded El Colmado with his wife, Maria Duran. Starting from humble beginnings mixing Spanish and Dominican recipes, El Colmado soon became known as the first restaurant to offer high-end Dominican cuisine, winning over renowned food critics at El Mundo, El País, ABC, and other publications. El Colmado became the benchmark of Dominican cuisine internationally, earning awards from Salsas de Chiles, Elle, Hello, El Economista, El Nuevo Diario, and other media outlets in both Spain and Dominican Republic. It was the restaurant of choice for renowned chefs, artists, athletes and society in general. 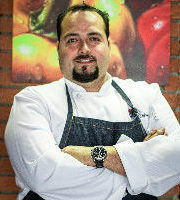 In 2013, Martín closed the restaurant and moved back to Santo Domingo where he currently resides. 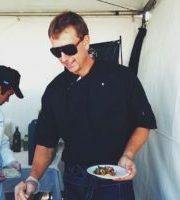 Currently, he collaborates with magazines and other media by contributing recipes, cooking demonstrations and lectures. An avid student of his culture and roots, he was recently named “Gastronomic Ambassador of the Dominican Republic” by the Dominican embassy in Spain. In Spain and Venezuela, he is known as the Juan Luis Guerra of cooking, and today he is one of the greatest advocates of Dominican cuisine. 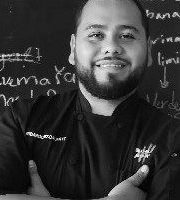 He has represented the country in international events such as Jornadas del aceite de oliva español, in Madrid; Fusión de Culturas in Almeria; the Epcot Food and Wine Festival 2015; Barceló Bávaro Culinary Week 2014/2015; Jornadas dominicanas 2015/2016 in Caracas; and in 2016 he represented Dominican Republic cuisine in Madrid Fusión. 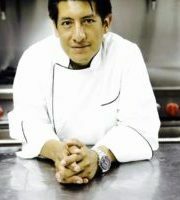 This year he will also participate in Mistura, the largest food fair in Latin America, in Lima, Peru. 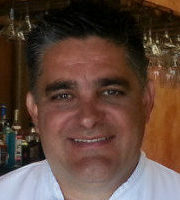 Juan “Martín” San Román is an award-winning chef and restaurateur and the newest member of the Season team. 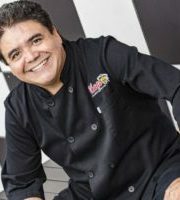 Martin has owned and operated several acclaimed restaurants in the U.S. and Mexico, and was a celebrity TV chef for eight years on the Televisa Network. During his illustrious career, he has proudly represented Mexican Gastronomie in England, Switzerland, Russia, Morocco, France, Japan, Singapore, and the U.S.
Martin has planned and prepared special dinners for a host of international diplomats and government leaders. His motivation is simple: “I live for the joy that comes from making people happy with gourmet cuisine and great service.” Martin studied culinary arts at the prestigious Ecole de Cuisine Lenotre de Paris, in France. 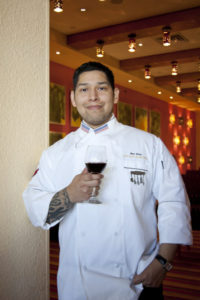 As a member of Mexico’s National Culinary Team, Martin helped garner numerous international awards at the Bocuse d’or in Lyon, France, and the Culinary Olympics in Erfurt, Germany. 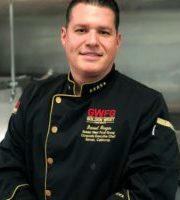 He is a member of Academie Culinaire de France, Societe des Cuisiniers de Paris, the American Culinary Federation, and Vatel Club de Mexico. 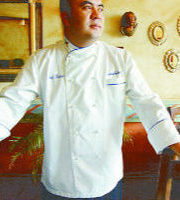 Executive Chef Hugo E. Miranda Jr. 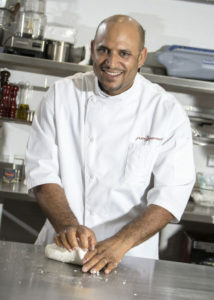 Driven by his love for food and creativity, Chef Miranda works day in and day out on his culinary craft. 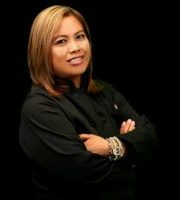 After graduating from culinary school, Chef Miranda went to work at the world famous Queen Mary Hotel in Long Beach. It was at the award-winning Sir Winston’s Restaurant & Lounge that the foundation to his exquisite and fastidious culinary technique began to take shape. Chef Miranda quickly began to learn that there are no limits to setting ones’ self apart from others in the culinary world. Chef Miranda is known for his exceptionally high standards, his imaginative presentations, and the palatable flavors of his dishes. 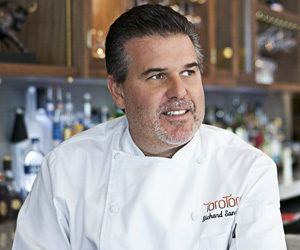 He has transformed the menus for multiple restaurants, bringing them to competitive standards. 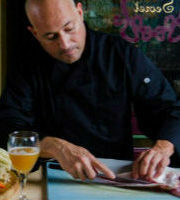 His unique menu gives lunch-hour tasters and food connoisseurs alike a fusion flare of American and Costa Rican style cuisine. We all owe a great deal of gratitude to the Chef’s Mother and Grandmother for sharing family recipes from their motherland. Raised in Long Beach, California, Chef Miranda was introduced early on to the multitude of flavors of such a diverse city. From delicious Mexican and Central American food to Southeast Asian cuisine, no dish has ever been spared the flavorful love of these different groups of people. 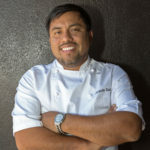 Since his early days in the city, Chef Miranda has gone off to become the executive chef at the Double Tree Hotel and most recently at the Four Points LAX. Serving hundreds of clients everyday and managing his staff to provide only the highest quality service, Chef Miranda is now bringing the best of his menu to you. 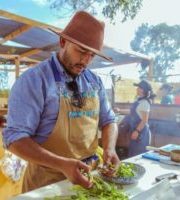 Francisco Pérez is the owner of LA and San Diego based Aqui Es Texcoco – bringing Mexican-style lamb barbecue to the US, while respecting and maintaining the authentic flavors, recipes and traditions. Their focus is 100% on the food, preparing it as it has been for hundreds of years – no flashy gimmicks or chef’s interpretations. Texcoco is pure, authentic lamb barbecue. 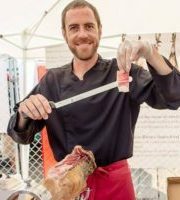 For the most remarkable Barbacoa‬ (Traditional Mexican Lamb BBQ), come and taste Aqui es Texcoco at Grande Tasting! 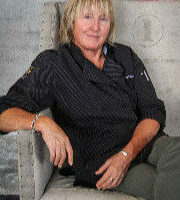 Alicia Maher is passionate about cooking and completely in her element in the kitchen. 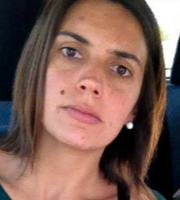 From a very young age, Alicia loved to cook and bake in her native El Salvador. She shopped the local markets for fresh ingredients like meats, vegetables, and spices, and learned the Salvadoran cooking traditions from her grandmother and aunts. 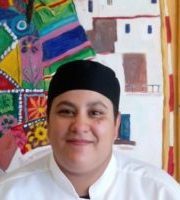 She is passionate about Salvadoran food and has always enjoyed preparing and sharing her home cooking with family and friends. Alicia’s love for hosting, cooking, and entertaining friends is truly fascinating. After leaving El Salvador at the age of nineteen, Alicia moved to Washington, D.C., then to Kfar Shmaryahu, Israel, and then to Los Angeles where she has made her home ever since. With a busy family life for a family 5 and their trusty dog, there are no obstacles that keep Alicia away from cooking for her family, special gatherings, and holidays. In Delicious El Salvador loving care has been taken to rediscover, uncover, and present the everyday delicacies of home cooking that amaze, comfort, and nurture us. Alicia started writing this cookbook in an effort to preserve and document the unique Salvadoran cultural food heritage and legacy for her children, future generations, and food lovers everywhere. 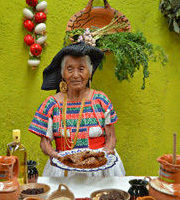 Delicious El Salvador is her first cookbook. Alicia and Delicious El Salvador are “Best in the World” 2014 finalists for the Gourmand World Cookbook Awards this May in Beijing, China. 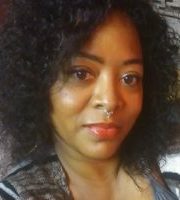 An avid food lover, life-long dieter, creative entrepreneur, sustainability advocate, and a passionate public speaker. 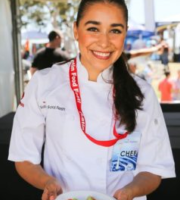 Formerly trained as an architect and urban planner, Alejandra changed careers after becoming a top finalist on FOX’s popular cooking show MasterChef with Gordon Ramsay. She performs cooking demos across the United States, represents Oxfam America as a Sisters on the Planet Ambassador, and has appeared on numerous television programs including Access Hollywood Live and The Talk, and has been featured on major networks such as ABC, NBC, Fox, and CNN. 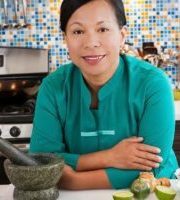 Eager to share her passion for healthy cooking, she travels frequently for public presentations, cooking demonstrations, and wellness seminars. 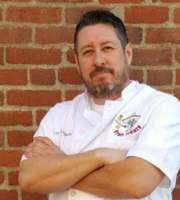 Born in Los Angeles, California, Chef Ben Diaz has always had a fascination with cooking, which stemmed from watching his father (an already accomplished chef himself) cooking and making breakfast. 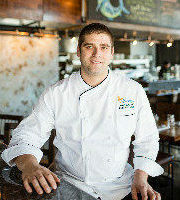 “Watching my dad cook breakfast and seeing the passion he had for his craft really inspired me,” says Chef Ben. 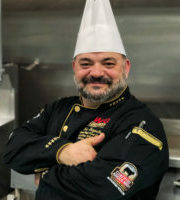 Chef Ben is a graduate of the prestigious California School of Culinary Arts, he is a coveted freelance chef and consultant who has been inducted into the “Les Amis d’Escoffier Society”, Cambridge “Who’s Who of Culinary Professionals” and “World Master Chefs Society”. 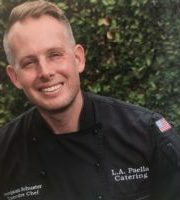 Chef Ben holds six certifications, including Certified Hospitality Department Trainer and Certified Food and Beverage Executive; he has worked alongside the world’s top chefs as a member of the Los Angeles Chefs de Cuisine Association. Chef Ben is also a publish author with “From a Cook To a Professional Chef” a culinary reference book that Chef Ben created and launch in 2011, with all this and more going on Chef Ben also finds time in his busy schedule to work with local charities most notable are the Boys and Girls Club of San Gabriel and the Cystic Fibrosis Foundation of Irvine. 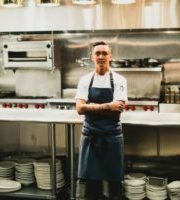 Chef Ben has worked in some of the best restaurants in town including The Silver Trumpet Restaurant, JW Marriott and Stockdale Country Club where the main focus was on fresh seasonal and locally grown produce. 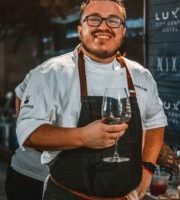 Currently Chef Ben is the Executive chef at Rosa Mexicano LA Live, Director of Epices De La Vie Gourmet Salts & Spice Co., Corporate Chef at CBD Cuisine Consulting Services & Catering Division. 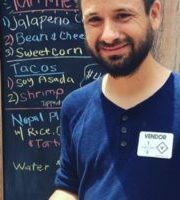 Chef Ben is currently working on several new projects; one being the opening of his first brick and mortar restaurant slatted for late 2017 and a second cookbook focusing on small plates, Chef Ben is currently on the culinary council board for Basil Magazine, and is brand ambassador for Surfas Culinary District and Guerrero Foods. 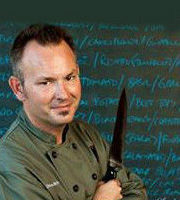 Chef Ben is an abet competitor his most notable awards where for World Chard Champion (pork division), Western Regional Champion for Phillips King Crab, San Diego Food Fest Grand Champion and Made for Chefs Throw down Champion as well as appearances on food networks chef wanted and cutthroat kitchen. The cuisine of Puerto Rico has its roots deep in the countryside where the ingredients are plentiful and brought to the market fresh daily. 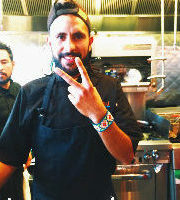 So is the case here in Mexico as well where Chef Felipe currently resides. His recipes are simply exquisite and have survived the test of time. Chef Felipe credits his deep love of spices and Latin flavor to his Mom Vivian who for all of his years has nourished his involvement with her in the kitchen. Not to be left out are sisters Patricia and Vivian. 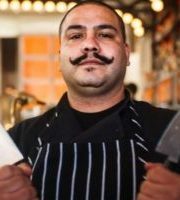 With their unsolicited yet welcome and sound advice Chef Felipe became exceptionally, “self-taught”. Chef Felipe’s love of flavors, spices, and the challenge of fusing his heritage with many other methods of cooking has created some of the best recipes you would care to try. The cuisine of Puerto Rico has its roots deep in the countryside where the ingredients are plentiful and brought to the market fresh daily. 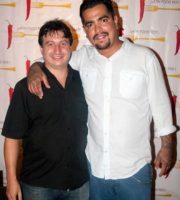 So is the case here in Mexico as well where Chef Felipe currently resides. His recipes are simply exquisite and have survived the test of time. 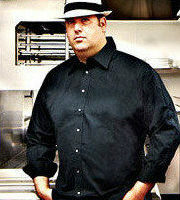 Chef Felipe is owner and Executive Chef of Food Power 2 the 5th, a catering company. Anyone intrigued about Latin flavor with a Caribbean Spanish twist should without a doubt make a call to this very exclusive catering company. 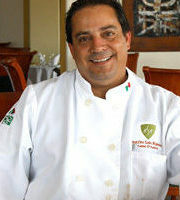 Chef Felipe entices and delights the pallet with a wonderful blend of everything Mexico and the Caribbean have to offer. 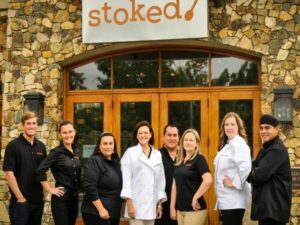 Executive Chef, Alfonso Magadan, utilizes his 28 years of experience in all levels of the business to lead the Cafe Stoked team of experienced chefs to deliver flavorful creations in a carefully planned menu, presented to delight you. Many of our team have been with us from the beginning, live in the community and they all take great pride in their work to deliver a quality experience for our guests. Together, with our team, we pull out all the stops to make your event special and every little detail is designed to make your event memorable for your guests. 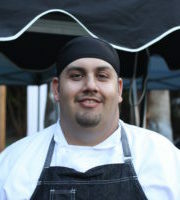 Abe Botello, Executive Chef at West Coast Tavern, was born and raised in San Diego. 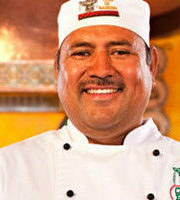 His mother was a baker, and his parents owned Los Pinos; a Mexican restaurant in Imperial Beach. 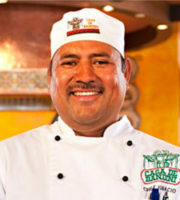 Botello started cooking in his father’s kitchen at age 16. 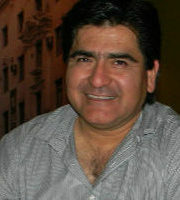 After graduating high school, Botello attended the New School of Architecture and San Diego City College. He later decided to get back to his roots and nurture his childhood passion for cooking. 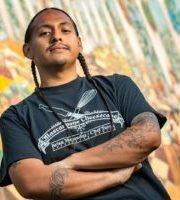 He attended the International Culinary School at the Art Institute of San Diego and landed his first job at Urban Solace under direct supervision of Chef Matt Gordon. 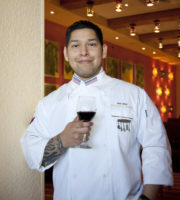 Botello worked his way up and became sous chef nearly two years later. He went on to open its sister restaurant called Solace, and also the Moonlight Lounge. Botello’s culinary résumé reads like a list of San Diego’s eclectic eateries. 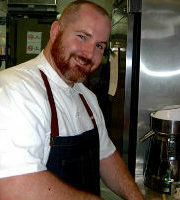 He helped open the kitchen at True North Tavern, and worked for West Coast Tavern briefly in 2010. 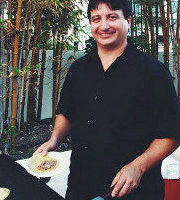 Botello also worked for Station Tavern in South Park and most recently, he was the chef de cuisine at Heights Tavern. 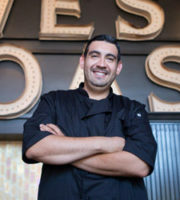 Botello rejoined the Verant Group as the executive chef of West Coast Tavern in 2013. 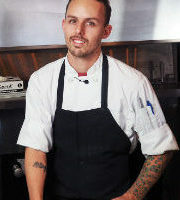 He looks forward to creating a menu featuring playful dishes, and combining seasonal ingredients prepared with inventive techniques. 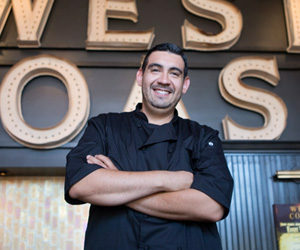 He hopes to build a strong reputation for the creative cuisine at West Coast Tavern to accompany the restaurant’s atmosphere and vibe. 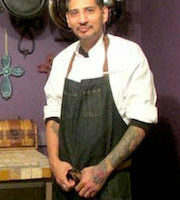 Botello says his favorite cooking tools include an offset spatula, spoon and a sturdy old paring knife. 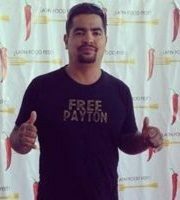 At all times, he keeps garlic, sea salt, sherry vinegar, vanilla beans and chipotle peppers in adobo on hand in his kitchen. 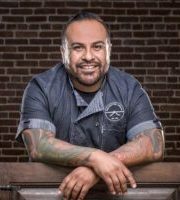 When he is away from the kitchen at West Coast Tavern, Botello enjoys spending time cooking for his friends and family, running and hiking. He also makes time for mountain biking and snowboarding. 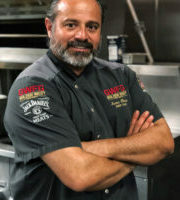 It’s no wonder that Casa de Bandini’s Chef Ignacio is creative and comfortable in the kitchen: as the eldest son of 20 children, hailing from Michoacán, Mexico, he grew up baking, cooking and perfecting his craft. And, diners at Casa de Bandini have been the beneficiaries! Besides the traditional Mexican cuisine we’ve all loved, Chef Ignacio’s own signature dishes have become favorites as well. 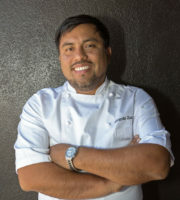 His Tequila Lime Salmon, Seafood Rellenos and Seafood Chimichanga, plus Chicken Chipotle Salad are just a few of the delectable, unique Bandini dishes with the “Chef Ignacio” stamp. Says the Chef, his own soups of the day draw a constant “ole!” from repeat diners. Caldo de Res on Thursday, a Mexican Beef Stew “soup,” Chicken Tlalpeño, with chipotle, chicken, garbanzo beans and squash, star another day, and on Sunday, constant crowds come for traditional Pozole. 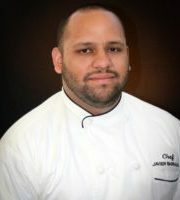 Chef Ignacio offers his secret, too, for his aromatic, spicy, sumptuous flavors: everything, he says, everything – is fresh.